What is The Flavor Book? The Flavor Book is an on-going project from DIYorDIEvaping.com that includes highly in depth notes and analyses for the flavorings and ingredients we use as DIY E-liquid mixers. This includes flavorings from companies like The Flavors Apprentice, Flavour Art, Capella, Flavor West as well as lesser known companies like Inawera, Flavorah, & Jungle Flavors. Each ingredient listed in the Flavor Book have gone through extensive testing and experimentation to produce the most accurate and useful information possible for help with your e-liquid recipe development. It is updated weekly with new flavorings with the overall goal of covering every flavoring from the top manufactures. Whether you're a new mixer or one that has been mixing for years, the Flavor Book will provide you one of the best resources you can have as a recipe developer. What Does the Flavor Book Offer? The Flavor Book is meant to offer the most information about a flavoring in the most efficient way possible. Each Flavoring is given a SOLO MIXING %, as well as a MIXED MIXING %. This means no more searching around the web for the average % of a flavoring put up by random mixers. Each percentage is tried and tested to give you the most accurate concentration possible. You also are given what the Flavor Profile is so you know exactly what a flavoring tastes like (in vapor form) before you purchase it. You are given how well the flavoring vapes, so you know if a flavoring is too harsh or a coil gunker before you purchase it. And lastly, you're given the recommended pairings for the flavoring. This allows you to find the PERFECT flavoring for your specific situation with just a quick search on the search bar. How Do I Search For a Flavoring? At the top you'll see a search bar. Just type in the flavoring you're looking for and it will show up! All new flavorings that are added will show up in that image scroller at the top of page in order of newest first. I Don't See a Specific Flavoring on the Flavor Book, Can I Request One? Members can absolutely request flavorings to be added to the Flavor Book. Head over to the contact page to send an email detailing what specific flavorings you'd like me to cover and I'll do my best to quickly add them. Remember, each flavoring is extensively tested and this takes time. So do not expect requests to immediately show up on the book. How Often is the Flavor Book Updated? Every week we strive to add at least 3 new flavorings. Can I Add My Flavor Notes to the Flavor Book? The Flavor Book must maintain its integrity and its high standards for it to be most effective for its members. Because of this, DIYorDIE cannot just add anyone to the list of flavor analyzers. If you write your own flavor notes or flavor analyses and would like to add them to the Flavor Book, you can contact DIYorDIE through the contact page and use "Write for DIYorDIE" to get in touch. From there your notes will be reviewed and decided on if they meet the standards of the notes being presented, as well as taking in account experience had in mixing. Is the Flavor Book Free? 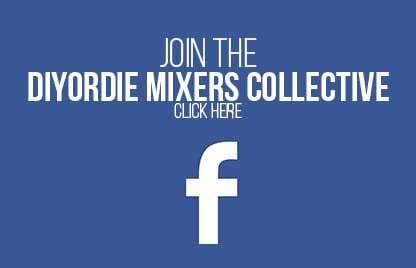 Because of the time intensive nature of the project as well as the expensive cost, the Flavor Book is only available to DIYorDIE Mixer Members. If you're not a Member you can sign up for a small fee of only $3 a month. That's less than ONE FLAVORING A MONTH for one of the best resources online for flavor notes. 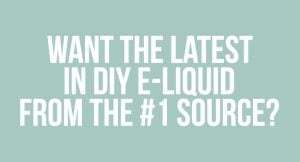 With the membership you're also given the monthly InTheMix Magazine which is an e-Zine specific to DIY Eliquid mixing, as well as other "secrets" and perks. You can head over to the shop to purchase a membership to gain access to the Flavor Book.